GOOD BAN, BUT LET’S PUSH THE STATE TO CHARGE FOR PAPER, TOO. While we support Gov. Cuomo’s proposed statewide ban on single-use plastic bags, Tarrytown Environmental Advisory Council will keep advocating for a small fee on paper bags as well. With the deadline for budget approval coming up on April 1, time is running out! 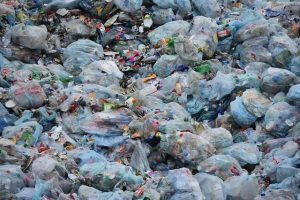 While the details of implementation haven’t yet been worked out or clarified, the proposed ban on plastic bags is an important step. It would reduce carbon emissions by limiting the petroleum use in creating the bags, and reduce emissions caused by trucking waste bags to the landfill. And it would be a step toward eliminating plastic refuse that clogs waterways and litters our oceans, lakes and tree branches. But an unintended consequence may be that shops and consumers simply shift to using single-use paper bags, which use more energy to produce. Get in the habit of using reusable shopping bags for all your shopping (not just groceries!). Forgetting your bags? Leave a stash of them in the car and put a sticker on your steering wheel to remind you to take them with you when you leave the parking lot. Follow the work of the Federated Conservationists of Westchester. This active group conducts workshops and other events to educate citizens of Westchester County about environmental issues. FCWC is often asked to testify at hearings and to speak out on these and other environmental issues impacting the county.